Hiring managers and recruiters have a long history of rejecting “job jumpers.” And even today, 43 percent of employers won’t consider job jumpers, according to CareerBuilder. If you are not familiar with the term, a “job jumper” or “job hopper” is a recruiting prospect who has had short tenures with several employers. Unfortunately, it’s an antiquated concept that might have been valid long ago, but in today’s volatile talent marketplace, automatically rejecting frequent job changers may cause you to miss out on many exceptional hires. Rather than the often-mistaken assumption that job hoppers are disloyal, selfish, impatient, and expensive, they may actually be superstars who merely change jobs frequently because they are so good, and they are continually offered many new and higher-level opportunities (that their current firm simply can’t or won’t match). There is no available public data that demonstrates that hiring job jumpers has a low ROI, and in fact, the opposite may be true. 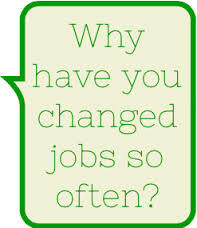 Changing jobs frequently has become the norm rather than the exception. For example, workers in the U.S. have an average job tenure of only 4.6 years (according to the Bureau of Labor Statistics) and 45 percent of employers now expect new college grads to stay less than two years (according to CareerBuilder). Other research found that “high achievers” (i.e. 30 years old on average with great school and work credentials) leave after an average of 28 months and “95 percent of elite young managers actively researched other employment opportunities, and they tended to follow through on that instinct in short order,” according to the Harvard Business Review. Refusing to consider job jumpers is fast becoming an outdated practice. In fact, 55 percent have actually hired a job hopper and 32 percent of all surveyed employers (and 42 percent in IT) have come to expect workers to job hop, according to CareerBuilder. At least scan the many reasons why you should reconsider hiring job jumpers. Top performers move up frequently and average performers do not. The mere fact that a job jumper can move frequently between jobs probably means that they are exceptional performers. And their only real “fault” may be that they are ambitious and they have the initiative to seek out better opportunities (two traits that most managers would normally want in an employee). That they “moved up” to a more prestigious firm. Both are positive indications of talent, and like a baseball star who moves quickly through the different development leagues and then “up to the majors,” you should view them as an emerging star. Rather than being the least desirable, they may be the most desirable targets because several other firms have seen enough value in them to hire them. Job jumpers are also most likely to be in the early to mid stages in their career, which statistically makes it unlikely that their productivity is beginning to level off or that it is declining. More than half (53 percent) of employers say that job-hoppers “have a wide range of expertise,” according to CareerBuilder. In fact, when you hire a job jumper, you get the accumulated knowledge, best practices, benchmark information, their many contacts, and their experience from a number of firms. If their job jumping was within the same industry, you get a breath of industry knowledge that is hard even for your current employees to match. And if the job jumping was between different industries, you may get an even broader array of experience and best practices that can be adapted to your industry. Half (51 percent) of employers say that job-hoppers “can adapt quickly,” according to CareerBuilder. When you hire a job jumper who has succeeded in each of their successive jobs, very likely their success came from their ability to build relationships fast, to learn rapidly, and because they are versatile and adapt quickly. All of these traits are critical in a volatile VUCA world. You need to consider job jumping as a form of highly diversified employee development, just like job rotations are within the organization. Because each time they were a new hire, “jumpers” were forced to rapidly learn new information, new skills, and best practices. In fact they may be much more developed than most current employees at your firm who have “settled down” in their job and that have not been challenged to dramatically learn in years. Many shortsighted managers and recruiters automatically reject job jumpers. So, if you don’t care about their job jumping, the reduced competition may mean that they are much easier to recruit and their salary expectations will be lower than most top performers. If you don’t harp on their job jumping throughout the hiring process, they will likely be presently surprised and then be more likely to say yes. Always remember that one the firm’s trash is another’s treasure. A whopping 91 percent of Millennials expect to stay in a job for less than three years, according to FutureWorkplace.com, which could mean that Millennials could have as many as 20 jobs in their career. In fact, 25 percent of workers under 35 have already had more than five jobs in their short career, according to CareerBuilder. 7. Do you want LeBron for a year, or Homer Simpson for 4.6? Nearly 50 percent of former job jumpers stay at their next firm more than two years, and the average hire stays only 4.6 years. And most that “run the numbers” have found that short-term excellence is significantly better than long-term mediocrity! When you hire a superstar who may well leave within 18-24 months, you still have a great opportunity to use their skills and learn from them. Superstars frequently move on, but the tremendous short-term gain and “push forward” that they provide makes hiring them worthwhile. Having an average employee for as little as two more years simply won’t likely produce the same business results. Many managers mistakenly assume that you will lose your training investment if a newly hired job jumper “quits early.” But the job jumpers may not need much investment. The fact is that, since job jumpers have obviously had multiple jobs, most are not rookies who need lots of training. Having had multiple jobs may have also made them into individuals who don’t require a lot of management attention and they may by now even become leaders. And with their extensive experience in many different jobs and companies, most job jumpers can get up to speed more rapidly. Taken together, most jumpers simply don’t require the same investment, management time, and training as most new hires. They may also be cheaper employees because during their short tenure, they won’t likely use retirement or educational benefits. And if they do encounter performance difficulties, because they knew how to get a new job, they will likely quit on their own without any need for performance management on your part. Some job jumpers leave as their firm is sinking. If you worked at RadioShack, for example, and you left because you successfully forecasted the impending downfall of your company, you would actually be more desirable as a candidate. Smart people are loyal to a point, but if the “job jumper” left a struggling or failing firm before it crashed, you should give them credit, not blame. Being loyal and staying on the Titanic until the very end is a trait you might not want in an employee. You hire innovators based on the premise that you want to capture their innovative ideas. But unfortunately, there are few “serial innovators” in the world that produce multiple innovations. So if you hire a job jumper who is likely to be a “one-time-only innovator,” the fact that they may leave after providing that one innovation is not a major problem. In some cases, they are “a one-trick pony” and they would be expensive to keep because they may do little more than rest on their laurels.